We here at Purify Skin Therapy know that you can’t and shouldn't use the same essential oils on your kids that you use on your adult mature body. We created a special line of essential oil blends specifically for your kids and babies. As a Certified Clinical Aromatherapist, I see and hear some really weird things people are doing with essential oils, especially with their children. It is because most essential oil companies out there do not have an accredited Certified Aromatherapist working with them, and they end up teaching very incorrect, unsafe, and not age-appropriate aromatherapy. Did you know you, as an adult you can harm yourself using essential oils incorrectly? Well then, of course incorrect use of essential oils can really harm your little underdeveloped children. That is why we teach SAFE, correct, and age-appropriate aromatherapy, and hopefully, for the sake of our little ones, you will use them. Purify Skin Therapy is proud to be the FIRST essential oil company to have created a line of safe oil blends that are BABY safe and KIDS safe, because we really care about kids. We created a BABY and a KIDS line of essential oil blends that are not diluted, but are 100% pure essential oils - just essential oils that are safe for your little babies and won't harm their little underdeveloped bodies in any way. 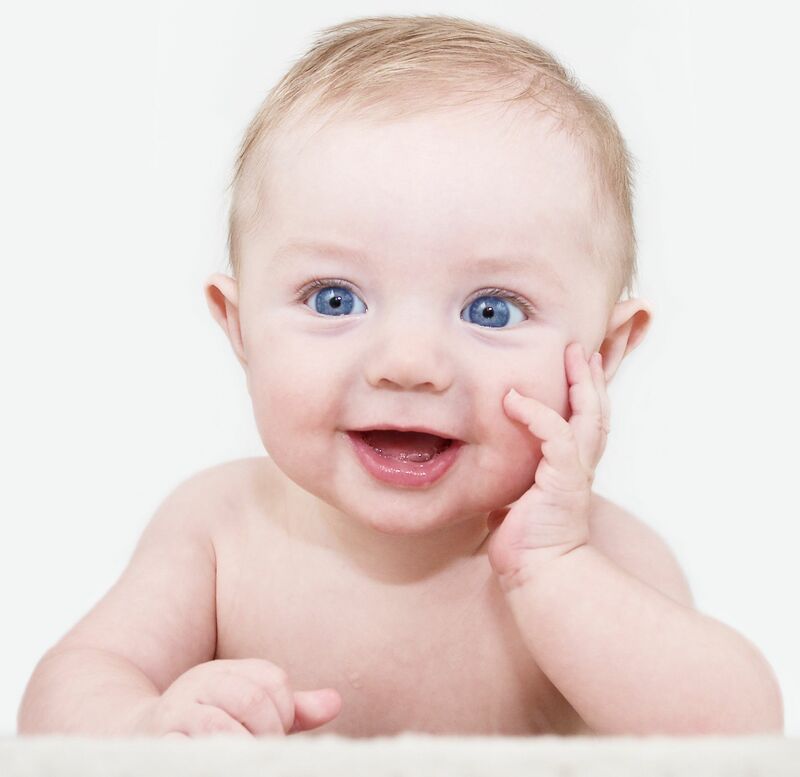 From birth to age 3 months old there are really very few essential oils you should use on infants. Remember, babies have a heightened sense of smell, so if you do use essential oils around them, you want to make sure they are highly diluted. If you can barely smell an essential oil in your dilution, they will smell it just fine. You can use our BABY line of essential oils on your babies from birth to around 12 months old. Once your child is 12 months old then you can move to the KIDS line of essential oil blends that are safe for them up through age 10 years old. Pregnant women who need to be conscious of the baby they carry, and the ailing elderly who in general need gentler oils will also use the KIDS line of essential oil blends. DO use essential oils and blends that are safe and formulated just for your child's little underdeveloped body. DO use only USDA certified organic & wildcrafted essential oils on your little ones - the highest quality oils for the best results. DON'T use the essential oil of PEPPERMINT on babies ages 3 years and younger. DON'T make your babies ingest essential oils. DON'T use essential oils that will harm your baby's underdeveloped body. DON'T use non-organic cheaper oils on your children. You may be exposing them to harmful toxic chemicals. Baby Digestion - Carefully formulated to support healthy digestion in little ones and relieve tummy upset and troubles. Baby Immune - Carefully formulated to boost and support the immune and lymphatic systems of your little one. Great to use as a preventative, and if your baby becomes sick. Baby of Mine - Carefully formulated to calm and soothe your little one. This blend is great for relaxing, calming, and soothing your precious child. Great to use in infant massage! KIDS Digestion - To support healthy digestion in your little kids and relieve tummy upset and troubles. KIDS Immune - To boost and support the immune and lymphatic systems of your kids. Great to use as a preventative, and if your child becomes sick. KIDS Respiratory - To boost and support the entire respiratory system, aids the body if there are respiratory issues. KIDS Sleep - To calm your child emotionally and physically so they can relax and fall to sleep faster and get better quality sleep. KIDS Throat Care - To boost and support throat health. Great for sore throats and coughing. Works like magic! KIDS Tooth & Gum - This blend completely replaces your kid's toothpaste. It naturally cleans and disinfects the oral cavity and supports healthy gums. Tastes great too.